Reliable. Fully automated treatment processes with alarm for mal-function. Efficient. Appropriate technology for the application. Guaranteed compliance with legislative standards. Robust. Construction materials include stainless steel and HDPE. Vital equipment redundancy. Potable water is derived from various sources. In broad brush strokes, potable water can be obtained from ground or surface waters. Ground water would be from wells and springs. Surface waters are generally classed as lakes, dams and rivers. Rainwater would most likely be classed as a surface water. The nature of the potable water is heavily influenced by region. For example the Western Cape ground waters are often discoloured by dissolved organic acids, tend to be low in pH and have varying concentrations of iron and manganese. In other parts of the country and in particular on the West Coast, the ground water tends to be quite saline. Apart from the unpleasant taste, this type of water can be corrosive and harmful to health. Potable water treatment plants vary in complexity. In each instance they would be designed to make use of the most suitable technology. For example Theewaterskloof water. This is a mixture of river and spring water. It has varying and seasonal turbidity. Generally the pH is on the low side with some dissolved iron. Typically a flocculation treatment process affords a viable solution. This is the chosen route for a number of Municipal sized water treatment plants. However for smaller applications such as a wine cellar or restaurant, alternative technologies are more appropriate. Although flocculation works well, the addition of flocculant has to be monitored extremely carefully. 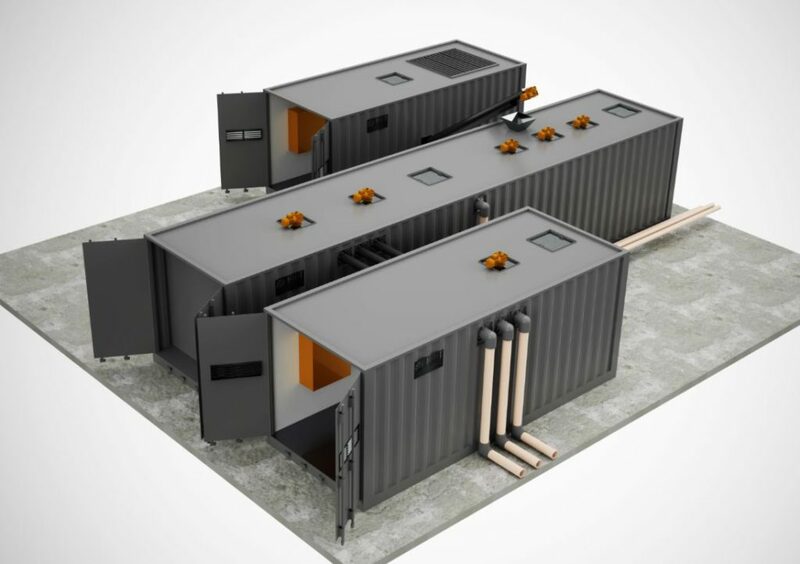 Treatment plants can be skid mounted or fabricated within a shipping container.